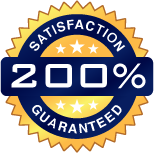 Our 200% satisfaction guarantee is straight forward and simple. No matter how often you vacuum, your carpet will never be as clean and fresh as the day you bought your home or office. Dirty shoes, pets, socks and dust floating through the air inevitably track or land on your carpet. Foot traffic tramples this soil into the fibers and padding beneath. Vacuums and store-bought low power steam cleaners have little impact on this type of soil accumulation. If you are tired of your stained carpets then it is time to hire a professional if you are in the Denver or Northern Colorado areas. Code Blue Carpet Cleaning is truly a family-owned and operated business. 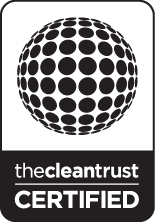 We are Clean Trust Certified and can handle all your carpet cleaning needs. At Code Blue, we believe in providing a personal and professional service with no hidden fees. We DO NOT attempt to up-sell our customers. We are truly one of the best carpet cleaning companies because we care about our work and we care about your home. Why Choose Code Blue Carpet Cleaning? At Code Blue Carpet Cleaning, we use one of the most powerful steam cleaning machines available. This leads to extremely clean carpets, drapes, mattresses and upholstery bringing them back to their original vibrancy. 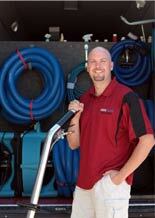 We utilize a Colorado made Pro-Chem Everest truck mounted steam cleaning system. The Pro-Chem Everest system, made in Denver is the largest carpet cleaning system in the industry. As cheesy as it sounds, we use the best because you deserve the best. Our 68 horsepower system easily beats out smaller systems used by most of our major competitors. Our system allows us to maintain a temperature above 230 degrees Fahrenheit giving us dry times 2-6 hours rather than the full day you can expect from other carpet cleaners. The extra hot steam also kills organisms that may be growing in your carpet. We also utilize customized 6 jet carpet cleaning wand which outperform the two jets wands used with other systems. Leading carpet manufacturers, such as Shaw and Mohawk, recommend hot water steam extraction in order to maintain your carpet’s factory warranties. They also require a Clean Trust -formerly IICRC- Certified firm to correctly clean your carpets. Code Blue Carpet Cleaning Denver is a Clean Trust Certified cleaning firm and can keep your warranty intact. If a non-certified provider cleans your carpets, possible warranties can be voided. At Code Blue Carpet Cleaning, we take each carpet cleaning, upholstery cleaning, and tile & grout cleaning job seriously. We use every precaution necessary to keep your carpets and belongings protected, whether we are in your home in Thornton or your office in Westminster. Our hoses are hand-carried into your home with care instead of being pulled off of hose reels and dragged through the lawn. By hand carrying our hoses we prevent dirt, tar, animal feces and other contaminates from being tracked inside your home or office. We use corner guards to protect walls, and we wear booties on our feet to prevent soiling your newly cleaned carpets. We are also a fully-insured organization. Code Blue strives to provide a professional cleaning service with no gimmicks and no strings attached. If you are in need of a professional carpet cleaning company and are located in the Thornton, Westminster, Broomfield, or Northern Colorado areas, contact Code Blue Carpet Cleaning today and we will happy to take care of your cleaning needs. Code Blue Carpet Cleaning serves the Northern Denver metro area, including: Westminster, Thornton, Broomfield, Northglenn, Arvada, Commerce City, Dacono, Erie, Firestone, Frederick, Lafayette, Longmont, Louisville, Meade, and Superior. © Copyright 2013 Code Blue Carpet Cleaning. All rights reserved.